See those ingredients above? Combined they create a salad. And eating salad is healtier than eating pasta. So a woman somewhere decided to call a dish of spagetti, “salad”, and immediately we all felt better about what we were planning on eating anyway. Add a meat and you can even call it a dinner salad, but never, Never, NEVER call it carbs because trendy, healthy, people don’t eat carbs. They eat dinner salads. And because I am trendy, I cooked this salad for dinner. The kiddos loved it. But before we begin, we have to run across the street to Mrs. Thelma’s to borrow some soy sauce. I used up all my soy sauce on the HONEY-PLUM-SOY CHICKEN. What is soy sauce anyway? anchovy extract, salt, pure cane sugar? Where is the soy? 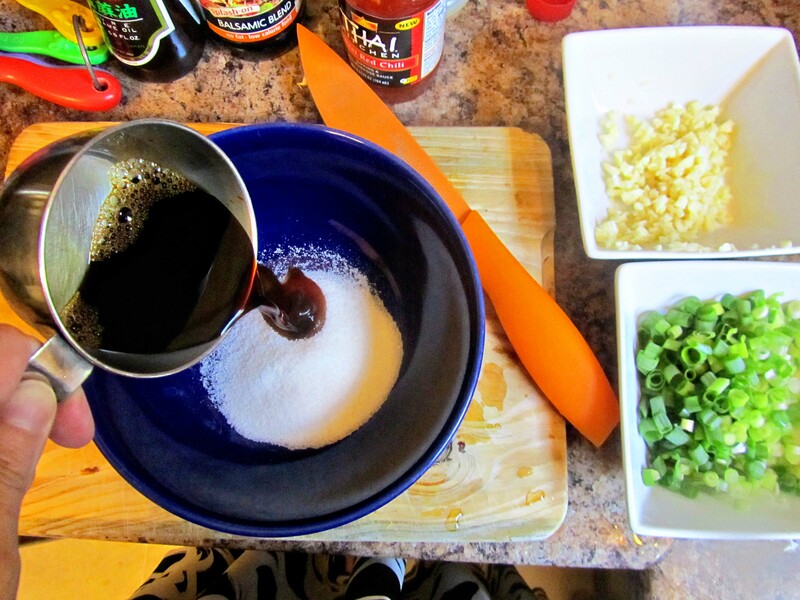 This article gives the history of soy sauce up to it’s current uses–interesting. Basically, salt was used to preserve fish, and the juices that leeched out were used for flavouring. It was the first soy sauce. 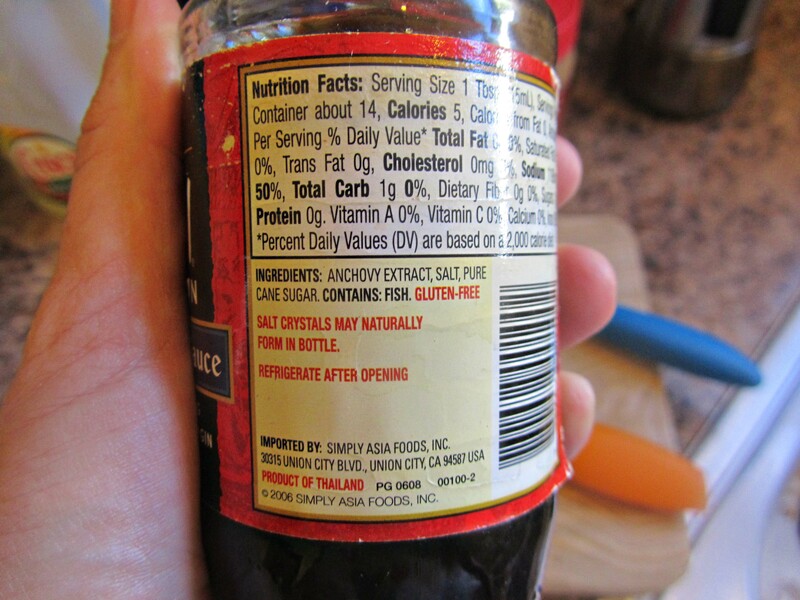 That is why anchovy extract is an ingredient in soy sauce on the bottle pictured above. 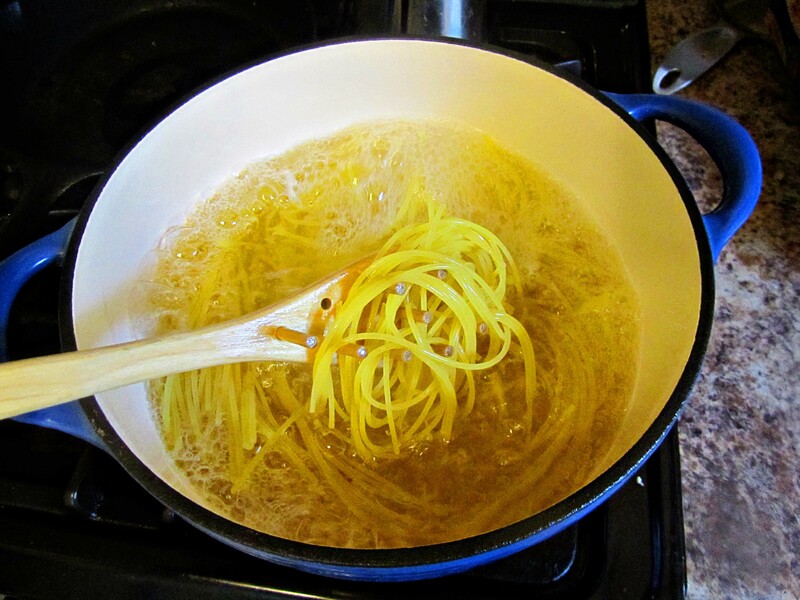 Before we start chopping and mixing, let’s start some noodles cooking. I used spaghetti noodles as I wanted the same look as in Ree Drummond’s cookbook. 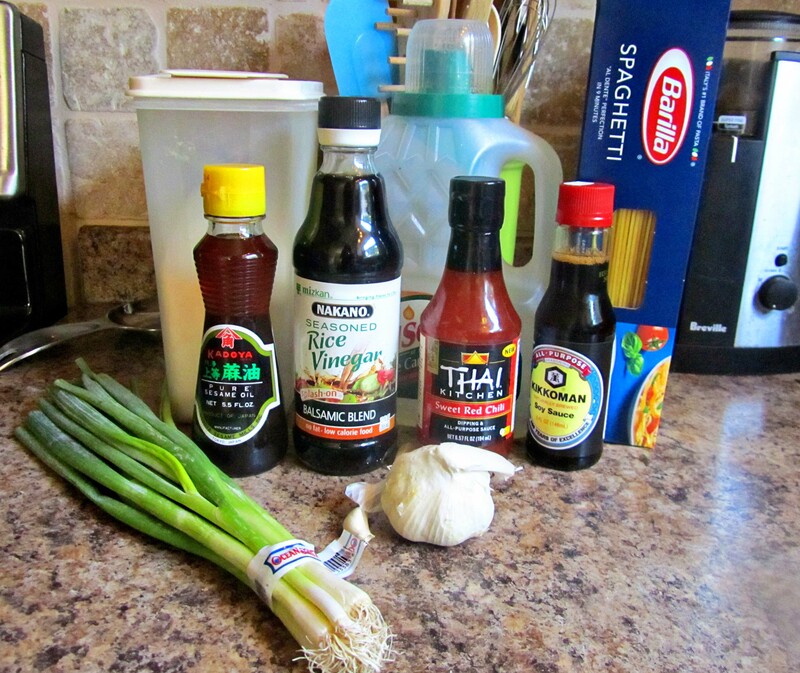 While the noodles are cooking, mix together the dressing–soy sauce, sugar, minced garlic, rice vinegar, sesame oil, hot chili oil, and canola oil. 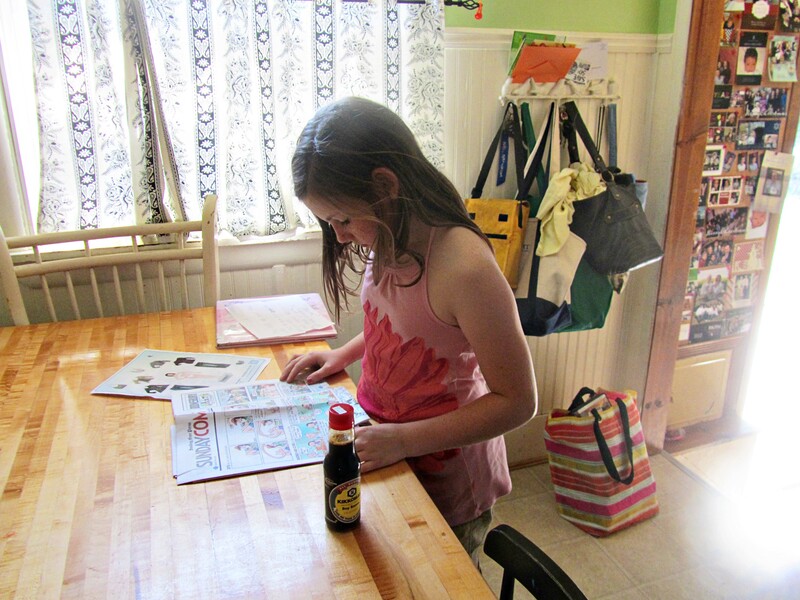 Hot chili oil can usually be found in the Asian section of your grocery store by the rice vinegar and such. 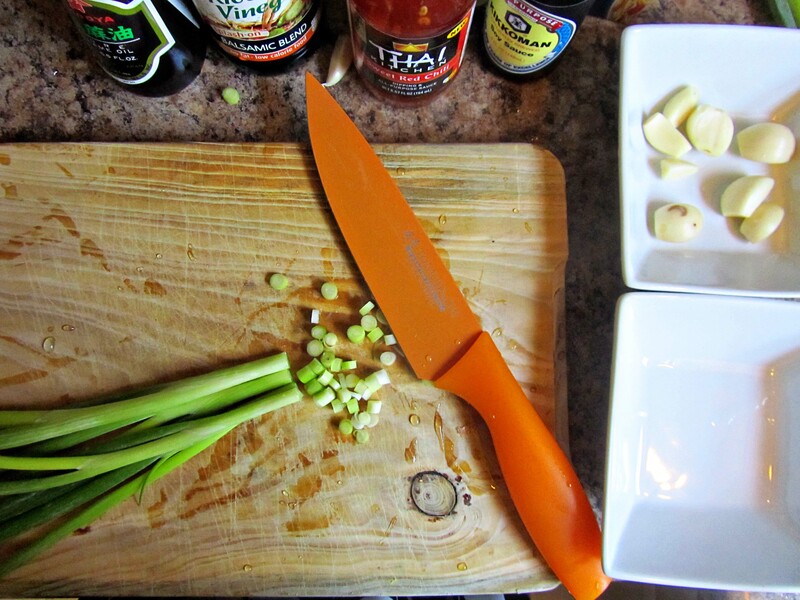 Toss the chopped green onions and the dressing with the drained noodles. I added left over PLUM-SOY-HONEY CHICKEN to make this “salad” a meal. Just typing about cooking this meal makes me crave it. I served it at room temperature, but it could also be served hot or chilled. The kiddos devoured it, and when I took it to a Boy Scout’s event, I was dissappointed that there were no left-overs to take home and enjoy. It really is a meal-in-a-bowl. 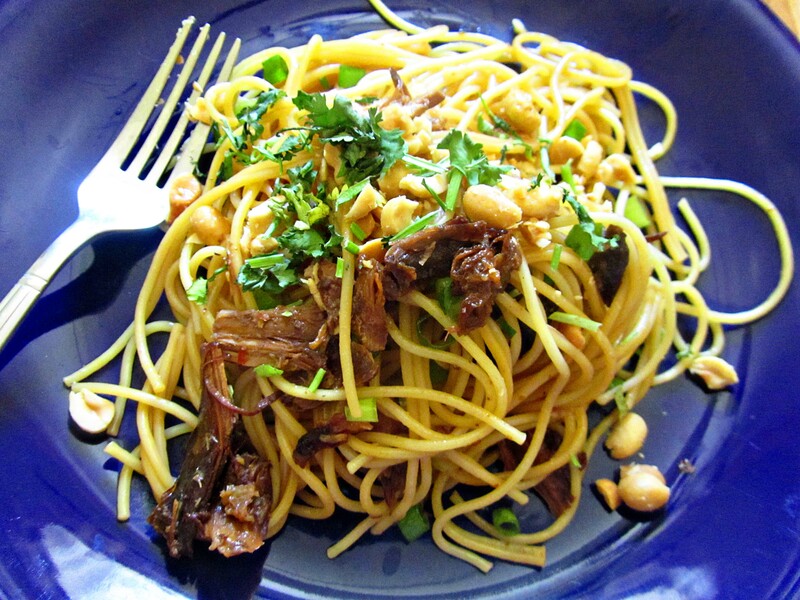 If you like the menu at Noodles & Co. you will love this recipe. 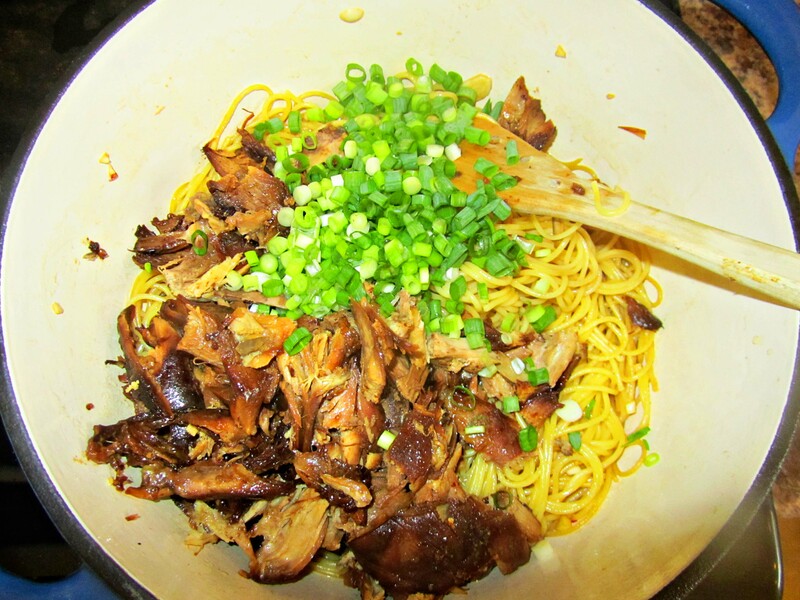 This entry was posted in Recipes and tagged cooking pioneer woman's cookbook, cooking ree drummond's cookbook, noodles & co, what is in soy sauce. Bookmark the permalink. Hello Happiness Stan. I too will check out the link. I have a box ready to send to you for the Mystery Grocery Box. I will email you again to get your address. Thanks for the info, and for everyone else reading, check out his blog. I stop by all the time to see what he is cooking and for his comic comments. Just read the link. Your soy sauce sounds much better. I think I will buy the Kikkoman brand next time. 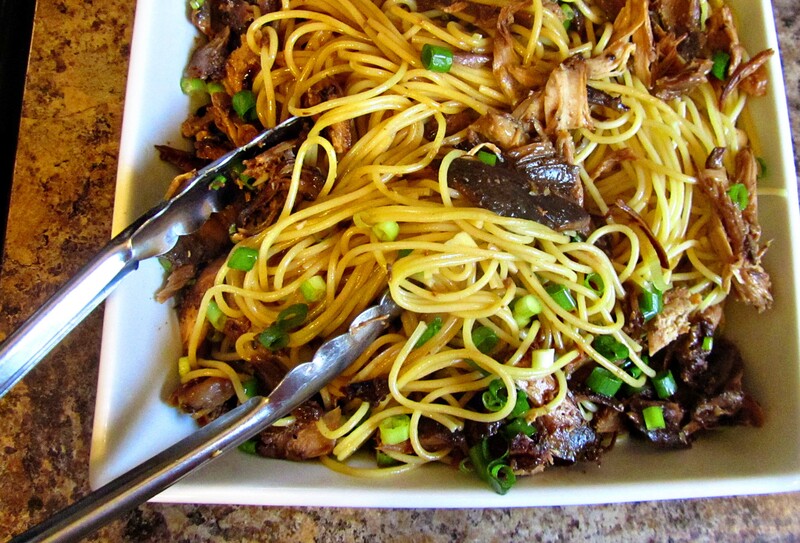 yes, and your recipe actually got me to GO to Noodles & Co. so now I’m in real trouble here. Love that place. Great recipe! The Salad looks good, I will have to try that recipe. However I tried the panfried spinach and I couldn’t even finish it! 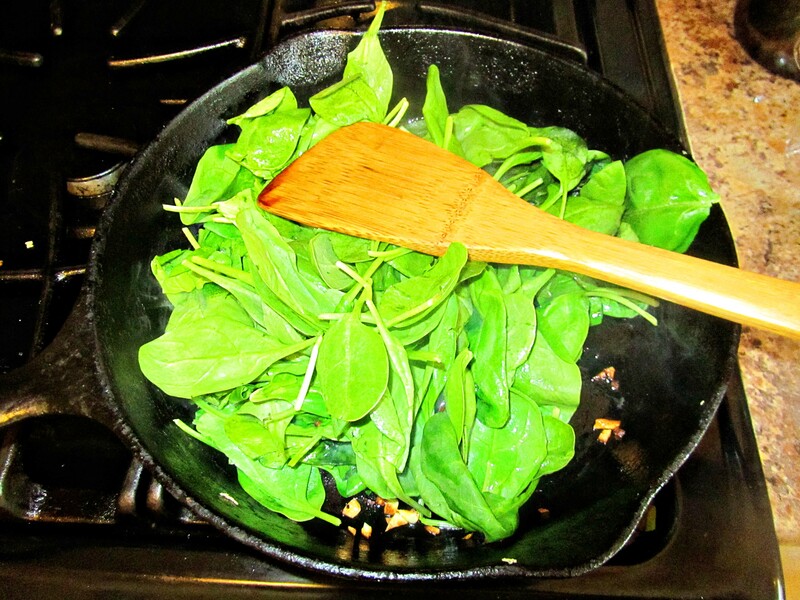 I love spinach in many ways, maybe I cooked it too long?? ?